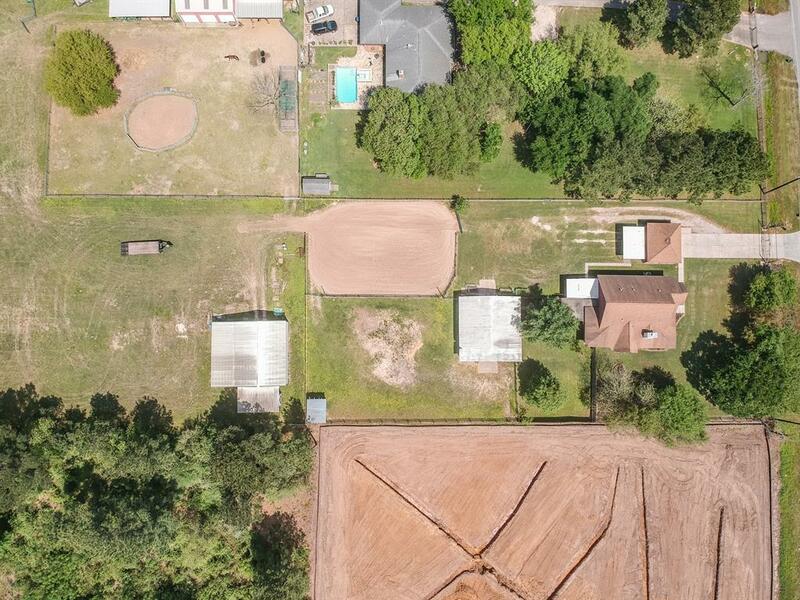 5+ Acres in The Heart of Tomball! Perfect property for builders, developers or business owners, the possibilities are endless! 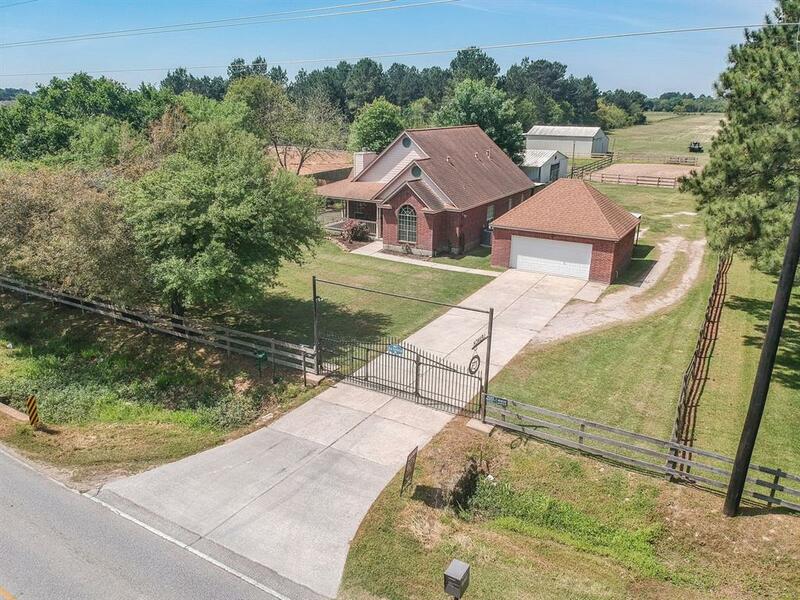 This gated country beauty features 3 bedrooms, 2 baths, a large open living room with stone mantel surround with heater installed, tile floors throughout, vaulted ceilings, a spacious island kitchen w/granite counter-tops & stone backsplash & SS appliances that stay w/home! Plus a Gun Safe thats built-in the closet, hurricane straps in roof, hot tub, camera system, W/D & refrigerator that all stay! 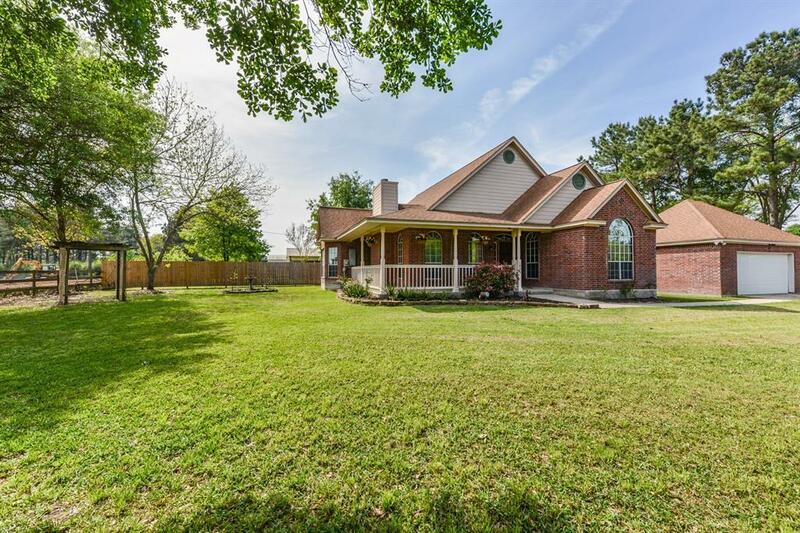 Yard is fully fenced w/a covered back patio & carport area, w/a full fire sprinkler system & french drains for the home! Back 4 Acres are AG exempt for Hay Production, so you can bring your business & your horses! 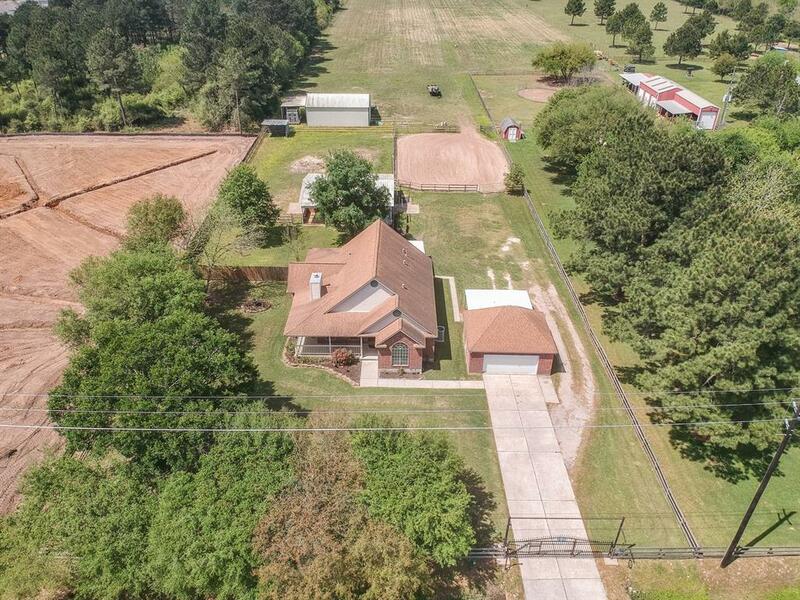 There is an enormous 60x50 Hay Barn w/a dirt floor, Tifton Hay field, a waterline to shop, loafing shed for storage, a fantastic 40x36 Barn w/a concrete alley, 2 huge stalls that could be made into 4, water heater wash rack & sink in tack room! A Must See!